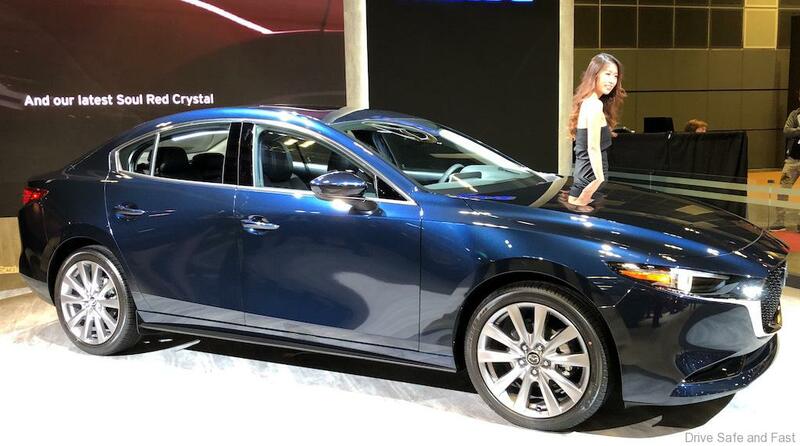 Mazda has flown in their all new Mazda3 from the US to Singapore to be displayed at the Motor Show at SUNTEC City. 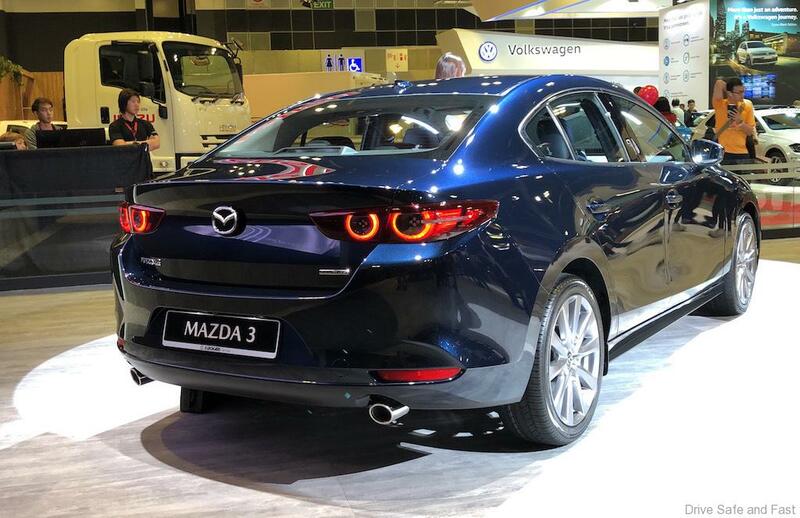 The left-hand drive Mazda3 is an American specification car, and the version for Malaysia and Singapore will be slightly different. 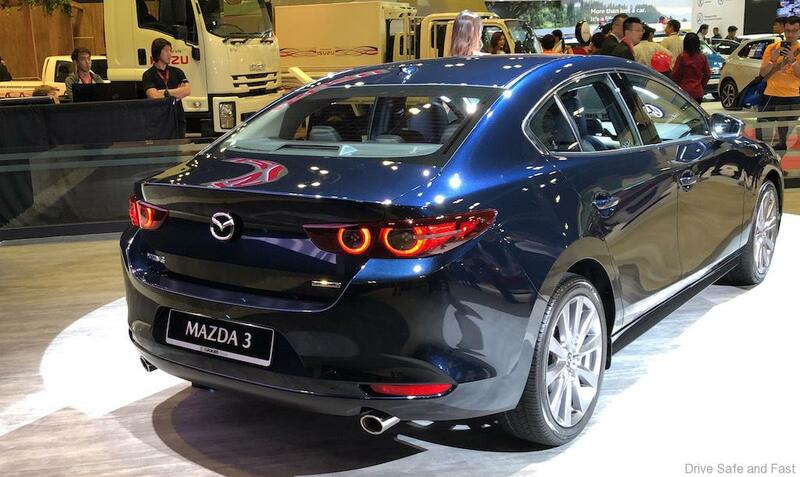 The new Mazda3 is the first production model to adopt this evolved version of the Kodo design. While featuring an extremely simple “single motion” to its overall form, the way light and shadows shift and reflections move over the body gives birth to a highly vital and dramatic expression that goes beyond previous iterations of the design language. Another goal in styling the new Mazda3 was to give the hatchback its own more emotional design, while the sedan aims to present more elegant proportions. Despite sharing the same Mazda3 model name, the two forms represent entirely different personalities. In designing the hatchback and sedan versions of the new Mazda3, the development team took a fresh look at their respective values and personalities, and then worked to maximise the unique appeal of each. The hatchback presents a powerful and seductive look with lasting visual appeal that evokes a sense of the exciting experiences to come. 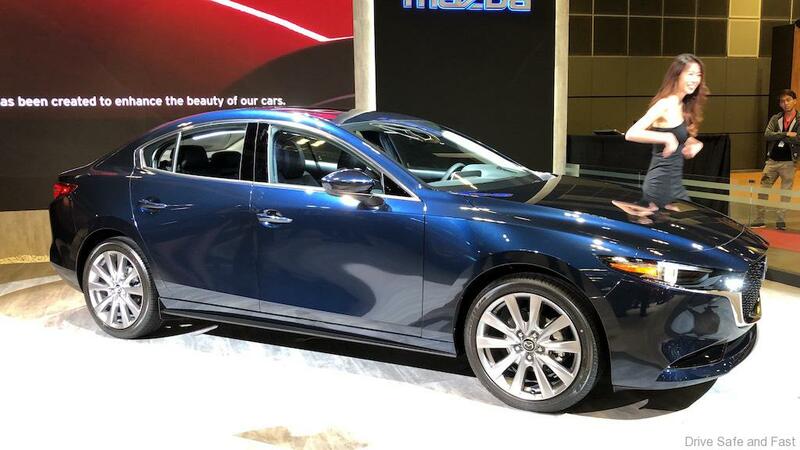 In contrast, the clean, sleek and sophisticated beauty of the sedan speaks of maturity and refinement. The result is two body types with personalities so distinct one might even think they were completely different models. A new lamp design is one more element key to Kodo design’s further evolution. In keeping with the “less is more” theme, all unnecessary elements were shaved away to leave only the essence of a lighting fixture. The development team felt that limiting the design to the minimum necessary elements – the light source, lens and base – would create a clean and beautiful look. 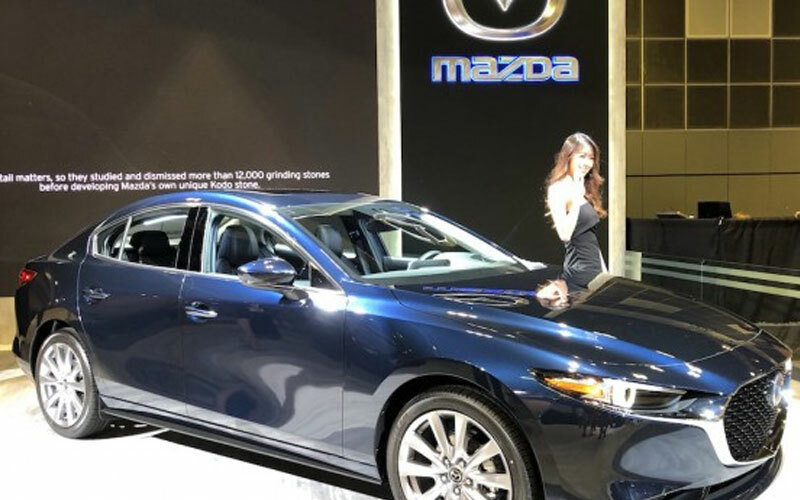 They also pursued a round design with an expression of depth in order to create a presence that accentuates the new Mazda3’s physique and fore-aft axis. The new design embodies a dynamic expression that distinguishes the Mazda brand from others.